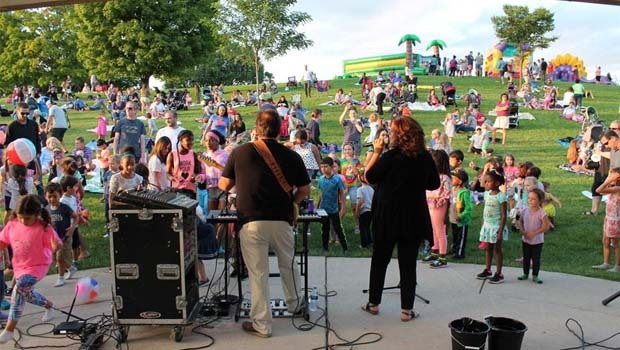 West Bloomfield Parks – West Bloomfield Parks events and programs. Info on youth programs, adult programs, and programs for adults age 50+. Its mission is to meet the community’s recreation, leisure and social needs by acquiring and enhancing public parkland and supporting year-round facilities and programs for youth, teens, adults, families and seniors. West Bloomfield Parks goal is to enhance the quality of life in the community by providing facilities, programs and natural settings for the enjoyment of residents. Overseen by seven, publicly elected commissioners, and managed by a commission appointed Director, WBPRC oversees the maintenance and programming for 580 acres divided over 12 township parks. Mud Day – New! June 29 from 3-4:30 pm at the Recreation Activities Center. Help WB Parks celebrate International Mud Day by going for a splash in the mud pit, paint works of art with mud and more! ITC Walk West Bloomfield – FREE! Walks are held on Tuesday evenings and Saturday mornings and are a great way to get outdoors and visit all your West Bloomfield parks! Beekeeper for a Day – New July 28 at Schulak Farm. Put on a beekeeping suit and help us explore the magical world of beekeeping with our friends from Bees in the D. Two programs offered – one for families and one for adults. Most West Bloomfield Parks programs are also open to non-residents. Visit www.wbparks.org to learn more about their programs and download their latest brochures full of family fun events and activities! Click here to view the 2019 Summer Guide! The Oakland County Moms Business Directory is a community resource for Metro Detroit families interested in local businesses with a family focus. If you’re an Oakland County business that would like to be listed in this category, contact us to discuss our affordable business directory listing rates. For more info on West Bloomfield Parks programs, www.wbparks.org.